On Dec. 31, 2018, we made 58 predictions on what might unfold in China in 2019. 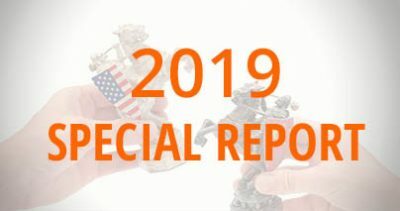 Our predictions covered seven categories: Politics, the economy, military, society, cross-Strait relations, Sino-U.S. relations, and China and the world. Based on our tally, 31 of our 58 predictions (53.44 percent) have been verified as of Q1 2019. Another three predictions are on track to being confirmed. Noteworthy items which we accurately predicted include the collapse of big Chinese tech companies (pinganfang.com and property service “unicorn” Aiwujiwu), government tax reductions, tightening of capital controls, escalating tensions in the Taiwan Strait, and the Trump administration’s continued efforts to isolate the CCP on the world stage. Our forecasting ability and grasp of macro geopolitical trends are built on our research and analysis of CCP elite politics. 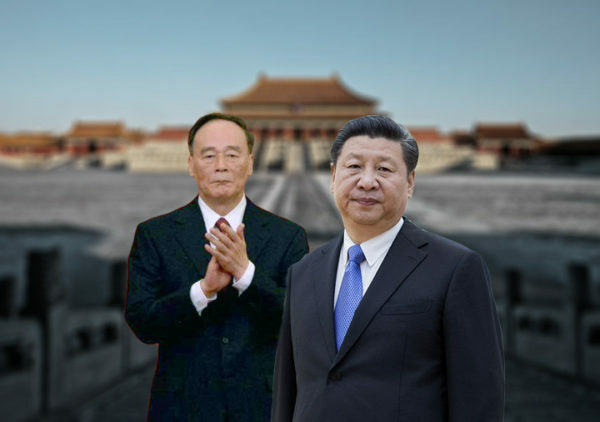 Party elite politics is upstream of virtually all matters in China today, and at the core of elite politics are factional struggles within the Party. Businesses, investors, and governments who wish to understand China and its future directions must track CCP elite politics. 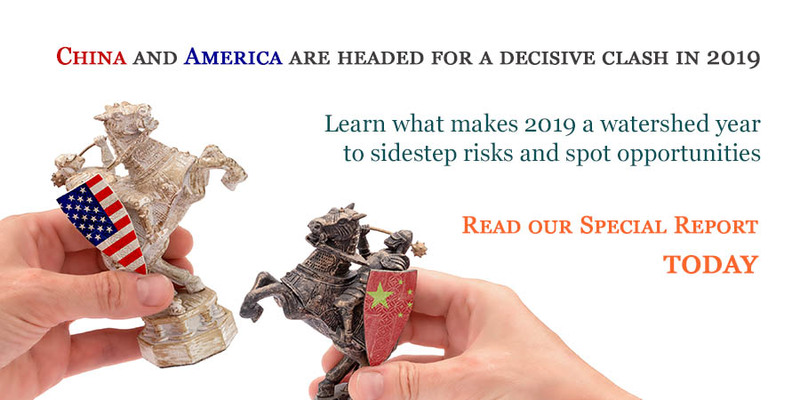 Through monitoring elite politics, investors, businesses, and governments can sidestep risks, avoid being blindsided by Black Swan events, and discover hidden opportunities relating to China. 1. The CCP factional struggle will escalate. 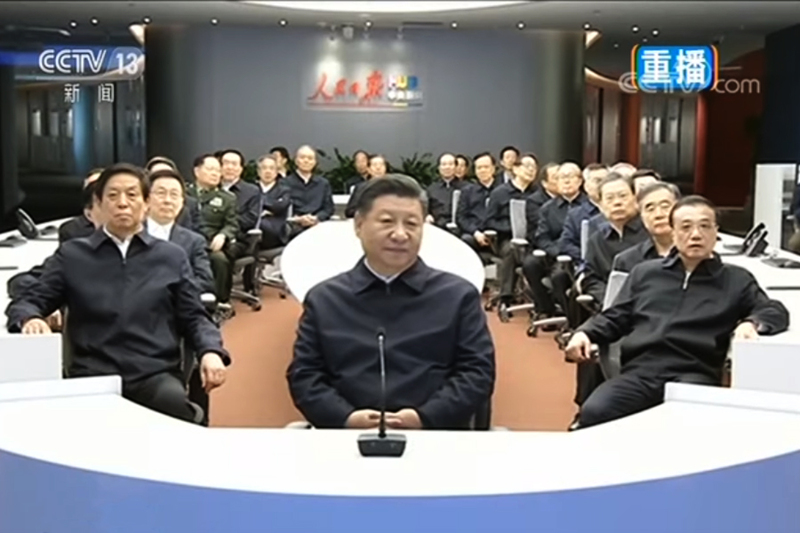 Retired members of the Politburo and its Standing Committee may even be purged. Serving senior officials are also at risk of being investigated. 2. 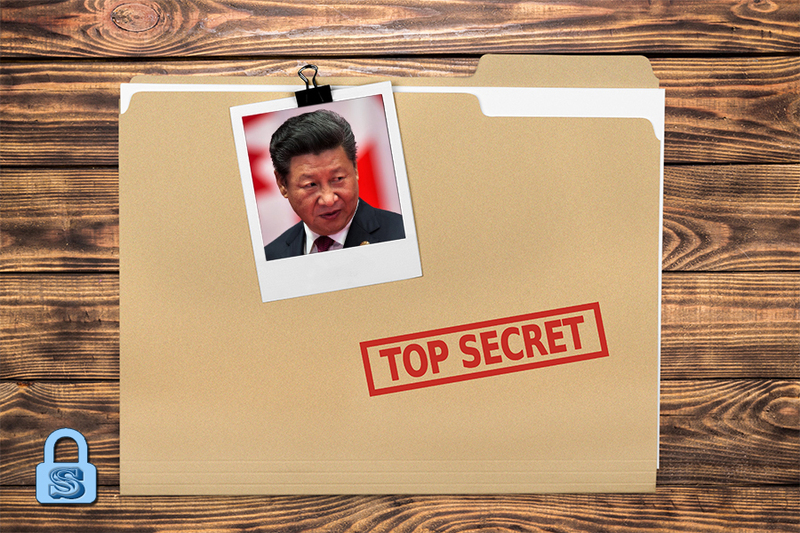 Xi Jinping remains at risk of being targeted by coups from political rivals. 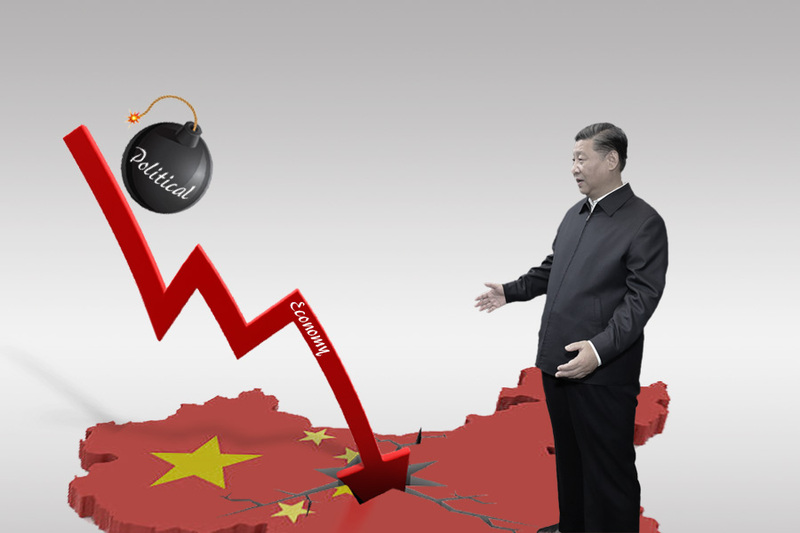 Xi’s supporters will likely also be targeted by political opponents if they are responsible for policy failure. In January, two cadres from the younger generation (born around 1970) received exceptional promotions in Guangdong’s Meizhou City and Jiangmen City respectively. Both cadres are on their city Organization Department’s nomenklatura list and could potentially be elevated to higher leadership positions in the future. The first quarter of 2019 saw at least 55 personnel changes involving provincial-level officials. Of the 55, five were removed from office; four were transferred to Party Central; three were “parachuted” in from Party Central to the provinces; 10 were transferred to other provinces; and 33 were reshuffled within their province. Meanwhile, four vice ministerial-level officials were purged. On March 17, the Party Central issued a revised version of regulations used to select and appoint leading cadres to Party and state posts. Article 9 of the revised regulations states that cadres who demonstrate “special excellence” or are needed for “special work requirements” can receive exceptional promotions or hold leadership positions meant for officials with a higher grade level. On March 25, Guangdong’s Meizhou City handed another exceptional promotion to another cadre on its Organization Department’s nomenklatura list. Meanwhile, Guangdong’s Zhaoqing City gave exceptional promotions to three officials who were born in the seventies. On March 28, Qin Weizhong, an official from the seventies generation, was appointed deputy governor of Guangdong Province. In the first quarter of 2019, there were at least 12 personnel changes involving political and legal affairs cadres at the bureau level and above. Of the 12, two were removed from office, two were “parachuted” in from the Party Central to the provinces, and two were transferred to other provinces. Also in Q1 2019, at least 30 political and legal affairs cadres at the provincial level and below were either investigated, expelled from the Party, or prosecuted. 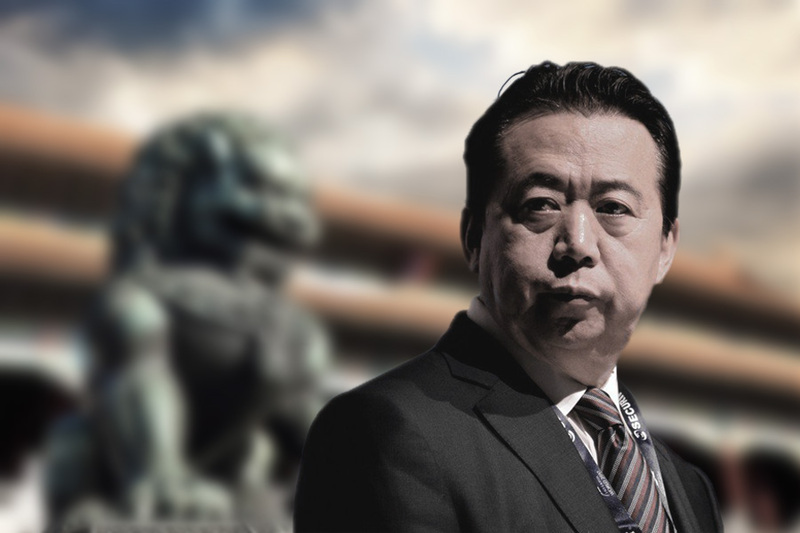 Among the 30 include former public security vice minister Meng Hongwei, a retired Hebei Public Security Bureau deputy director, three head justices of local courts, three local procuratorate generals, nine local Political and Legal Affairs Commission Party secretaries, and one provincial PLAC boss. The propaganda apparatus saw several personnel reshuffles in Q1 2019. Two provincial propaganda chiefs were replaced, while eight propaganda apparatus cadres were punished (including four local government propaganda heads). Meanwhile, purged Central Propaganda Department vice minister and internet czar Lu Wei was sentenced to 14 years in prison. 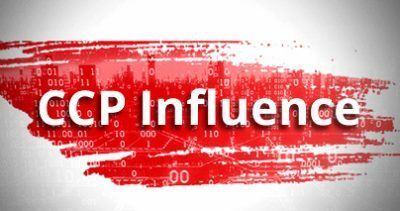 In Q1 2019, three executives in the financial apparatus were investigated and prosecuted. 5. A Black Swan event could imperil the CCP regime. China’s Manufacturing Purchasing Managers’ Index (PMI) in February was 49.2, the third consecutive month where PMI fell below the 50 growth mark. China’s PMI in February 2019 was the lowest since February 2016. Industrial profits dropped 14 percent in January-February from the same period last year, the steepest since 2011. On Jan. 2, the PBoC “expanded the coverage” of a previous RRR cut, an adjustment that may release up to 400 billion yuan in liquidity. On Jan. 4, the PBOC announced that it was cutting the RRR by a total of 100 basis points in two stages, freeing 1.5 trillion yuan in liquidity. From Jan. 14 to Jan. 16, the People’s Bank of China made reverse repurchase agreements on three consecutive days, releasing a total of 850 billion yuan in liquidity. 3. The renminbi will likely drop below the level of 7 yuan to the U.S. dollar. 4. China’s foreign exchange reserves could fall to historically low levels. On Feb. 1, the Supreme People’s Court and the Supreme People’s Procuratorate issued new rules that specifically crackdown on illegal underground banks and currency exchanges. On Feb. 21, the China Banking and Insurance Regulatory Commission announced new measures that target financial and banking institutions’ anti-money laundering and counter-terrorist financing practices. Banks and financial institutions are required to step up anti-money laundering and counter-terrorist financing efforts and log progress on internal information systems to enable better risk management. On Jan. 15, the State Council announced plans to halve the approval time for construction projects nationwide this year. On Feb. 27, the Ministry of Finance announced that individual and small- and medium-sized institutional investors would be allowed to purchase local government bonds over the counter at commercial banks. Previously, local government bonds were only sold and traded on the interbank bond market and on the mainland stock exchanges. Also, only banks, securities dealers, hedge funds, and other large financial institutions were allowed to purchase local government bonds. Commercial banks in six cities, including Beijing, are offering local government bonds over the counter. The minimum purchase amount is 100 yuan. Per Li Keqiang’s government work report delivered on March 5, China’s finance ministry will issue 2.15 trillion yuan worth of special government bonds in 2019, the bulk of which will be for infrastructure investment. Additionally, the central government plans to invest 800 billion yuan towards railroad construction and 1.8 trillion yuan for road and water transportation projects this year. Other infrastructure projects, such as water conservancy, municipal works, disaster prevention, and civil and general aviation, will also be carried out in 2019. The central government’s investment budget for 2019 was 577.6 billion yuan, an increase of 40 billion yuan from 2018. As of March 21, the National Development and Reform Commission has approved 26 major infrastructure projects (including transportation, energy, and water conservancy works) at the total cost of 600 billion yuan. On Jan. 17, the Ministry of Finance and State Administration of Taxation issued a notice to reduce taxes for small and micro-enterprises during the period from Jan. 1 2019 and Dec. 31, 2021. The MoF expects to reduce by 50 percent the tax burden for enterprises with annual taxable income of under 3 million yuan. On Jan. 14, China’s State Administration of Foreign Exchange announced that the total quota for qualified foreign institutional investors (QFIIs) had been raised from $150 billion to $300 billion. On Feb. 20, the State Council decided to cut red tape by eliminating or delegating to lower-level governments a number of administrative approval items. The State Council also decided to halve the review time for construction projects in China to 120 working days within the first half of 2019. 9. China’s property market may see an increase in auctions and more homeowners may have difficulties in paying their mortgages. 10. Chinese companies may start selling off their property assets to pay off debt. On Feb. 2, Zhangzhou City’s real estate chamber of commerce publishes a notice on “market chaos” in the city’s property market. The notice says that sales of property at 2,000 yuan per square meter by certain developers severely disrupted the market because it encouraged a low price competition. On Feb. 27, Xu Jiayin, Evergrande Group’s board chairman, announced 10 percent discounts on Evergrande residential property and 20 percent discounts on Evergrande commercial property during an all-hands marketing meeting. Evergrande staff can apply an additional 5 percent discount plus another 30,000 yuan off on top of the final discounted price (a total price reduction of 36.3 percent). On March 4, the Ganxian District Housing and Urban-Rural Development Bureau issued an emergency notice requesting that property developers cease offering “special prices” (i.e. steep discounts). The notice added that property transaction prices for each housing category should not be lower than that of the average transaction price in February for the respective category, otherwise the transaction will not be filed. In early March, a property company in Zhejiang’s Nanxun District was fined 200,000 yuan for offering a luxury car lottery (Mercedes-Benz) to buyers to promote sales. According to incomplete statistics from property service websites, at least 23 cities across China have relaxed property market regulation policies, including the capital cities of Jinan and Shijiazhuang. Relaxation policies vary from area to area, and include removal of price limits, lifting of restriction on property sales, lowering the threshold for settlement, or lowering property transfer tax on second-hand housing. 13. A few major property companies could file for bankruptcy. On Jan. 2, the Shanghai Composite Index closed at 2,465.29 points, or below the 2018 record low of 2486.42 points. On Jan. 4, both the Shanghai Composite Index and the Shenzhen Component Index fell to four-year lows before recovering (2440.91 points and 7011.33 points respectively). On Jan. 11, the publicly listed Pacific Securities Co. announced that it had set aside 9.72 billion yuan to provide for impairment losses. Of the impairment losses, 97.5 percent involves pledged shares forced liquidation disputes. On Feb. 20, public securities company Tianfeng Securities announced the company’s legal situation in 2018. Three of the lawsuits (total litigation amount of 11.71 billion yuan) that Tianfeng faced involve pledged shares forced liquidation disputes. On Feb. 22, mainland media reported that 11 public securities companies had set aside a total of 49.1 billion yuan to provide for impairment losses in 2018. Of the 49.1 billion yuan, 25.89 billion yuan involved pledged shares forced liquidation disputes. On Jan. 11, online property platform pinganfang.com ceased operations. Near the end of January, online property platform “unicorn” Aiwujiwu closed down. On Feb. 28, Xiao Yuanqi, the China Banking and Insurance Regulatory Commission chief risk officer and spokesperson, said that individual financial institutions can pilot bankruptcy mechanisms, but it is preferable for those institutions to undergo merger and reorganization. 18. Local debt defaults will increase. On March 14, Epson China announced that its Seiko Epson branch in Shenzhen would suspend production until the end of March 2021. On March 28, Sony announced plans to shut its smartphone plant in Beijing and move production to Thailand. During the January-February period, automobile sales in China totaled 14.82 million, or down 14.9 percent from a year ago. Auto sales volume has fallen for nine consecutive months on the mainland. 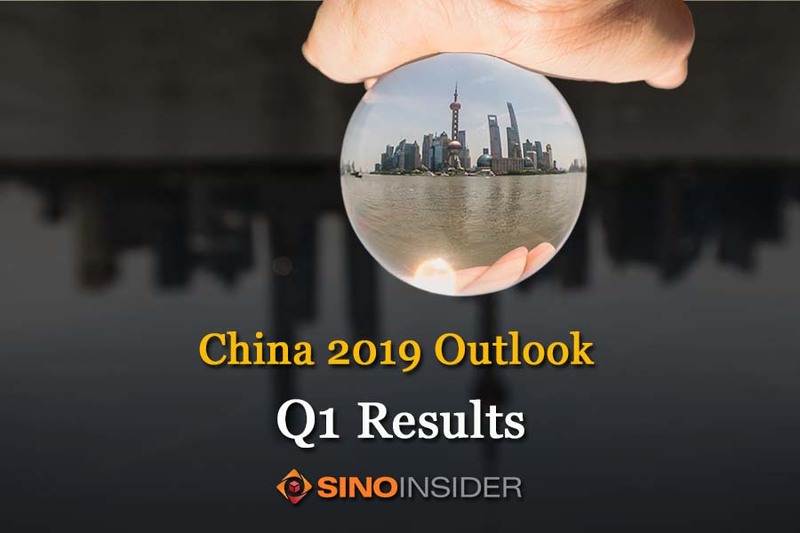 Also in January-February, industrial profits fell 14 percent year-on-year to 708.10 billion yuan, or the lowest monthly profits since October 2011. On March 19, German wholesaler Metro AG started calling for bids for the sale of its China operations. On March 25, Mister Donut, Japan’s biggest donut chain, closed all 10 of its stores in Shanghai. On the same day, Wal-Mart closed its Taitung store in Qingdao Province. On March 31, South Korea’s Lotte Group closed its Tianjin department store. Only three Lotte department stores remain in China. On Jan. 7, a protest broke out in Shenzhen between workers and public security officials after a cell phone case supplier who was shutting down retrenched over 3,000 workers. The protest was launched over compensation issues. In January, overseas Chinese language media reported that Hyundai laid off nearly 2,000 workers from its Beijing factories. Hyundai’s Beijing factories currently employ over 6,000 workers. On Feb. 27, The New York Times reported that Ford’s joint venture in Chongqing had quietly started to lay off 20,000 workers. On March 22, Chinese delivery company Guotong Express placed 50,000 workers on leave after reporting that it had sustained heavy losses. In January, China’s Agricultural Product Price Index 200 was reported at 109.26 (YoY +2.74%, MoM +4.04%). On Jan. 31, cumulative purchases of autumn grain from China’s main agricultural areas decreased by 17.92 million tons (-12.82%). 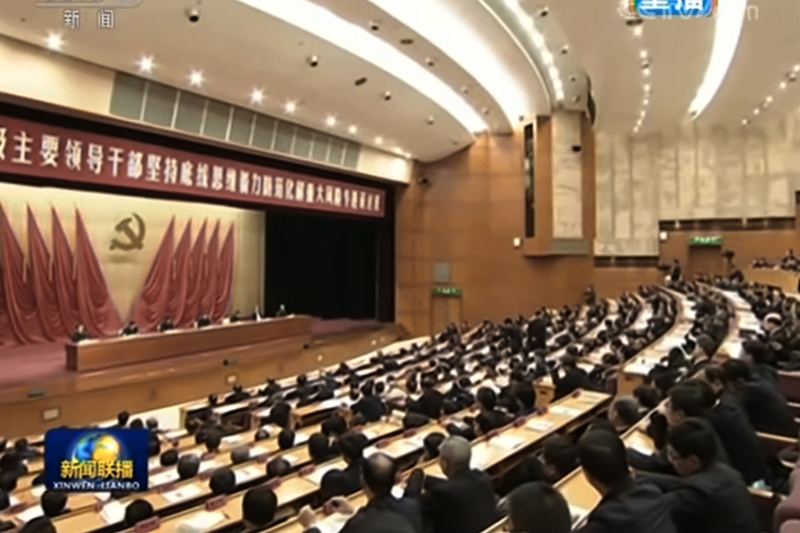 On Feb. 19, the CCP Central Committee and the State Council jointly issued the first work document of the year. Ensuring food supply was a key area of focus: Grain planting area was to be kept stable at 1.65 billion mu; arable land must be kept steady at above the “red line” of 1.8 billion mu; a permanent basic arable land special protection system must be fully implemented; and permanent basics arable land must be kept at above 1.546 billion mu. On Feb. 28, cumulative purchases of autumn grain from China’s main agricultural areas decreased by 10.7 million tons (-6.59%). In February, China’s Agricultural Product Price Index 200 was reported at 116.46 (YoY +1.23%, MoM 6.59%). On Feb. 15, China’s Agricultural Product Price Index 200 was reported at 117.42, a record high. On March 5, Li Keqiang said in his government work report that the Chinese regime needs to keep food supply stable in 2019 and add another 80 million mu of quality arable land. On March 20, cumulative purchases of autumn grain from China’s main agricultural areas decreased by 60,000 tons. This is a distinct abnormality in comparing grain purchases with that in February. We believe that this abnormality is the result of the CCP purchasing large quantities of U.S. food during the period of Sino-U.S. trade talks. In March, China’s Agricultural Product Price Index 200 was reported at 116.23 (YoY +8.53%, MoM -0.20%). 24. If Sino-U.S. relations improve, there is a chance that China’s economy will improve as well. Changes, however, may not be immediately noticeable. On Jan. 1, Xi Jinping appointed Southern Theater Command Joint Operation Department director Xu Liangcai as commander of the People’s Liberation Army in Macau. On Jan. 8, Major General Zhao Ruibao, the PLA Rocket Force political commissar, was promoted to deputy political commissar and director of the Western Theater Command’s political work department. On Jan. 12, Major General Chen Zhaoming, the former PLA Logistic Support Force chief of staff, was promoted to commander of the Henan Military District. 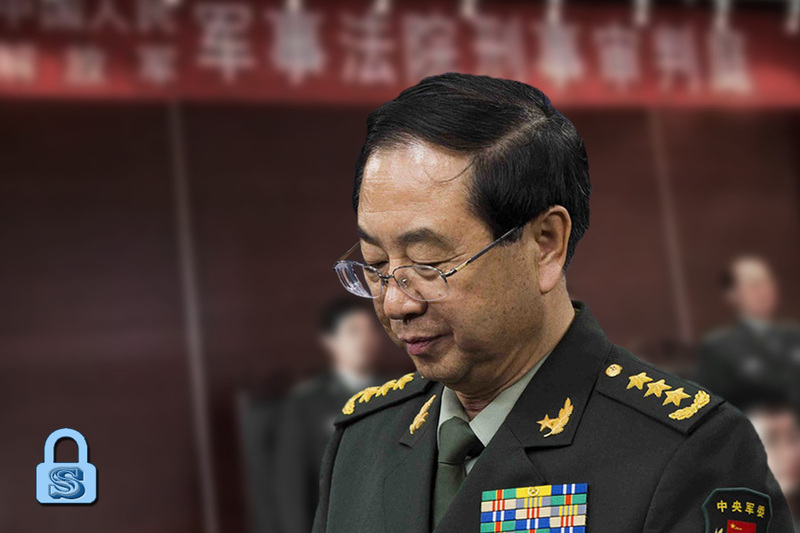 On Jan. 13, Major General Jiang Ping, the former deputy director of the PLA Air Force political work department, was promoted to political commissar of the Western Theater Command. On Jan. 14, Major General Yuan Huazhi, the first political commissar of the PLA Navy Marine Corps, was promoted to air force political commissar of the Eastern Theater Command. Meanwhile, Major General Hong Jiangqiang, the former deputy commander of the 79th Group Army, was promoted to group army commander. 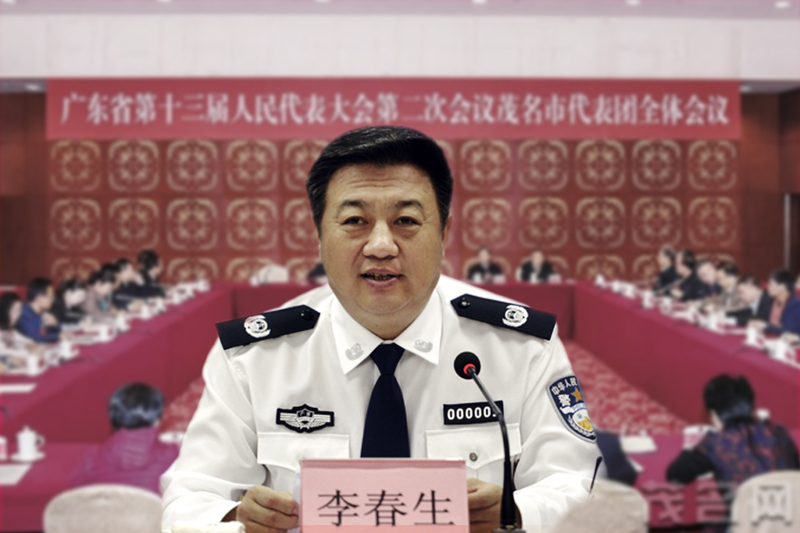 On Feb. 21, former CMC Chief of Joint Staff Fang Fenghui was sentenced to life imprisonment on corruption charges. 2. A few PLA generals could be publicly investigated. 3. The PLA will strengthen its presence in the South China Sea. 4. The CCP’s military expansionism will be impeded by a worsening economy and the international isolation of China. 5. Barring major incidents in the CCP factional struggle, the scale and frequency of domestic military drills will likely be lowered in 2019. On Jan. 7, scuffles broke out between protesting workers and public security officials in Shenzhen over compensation issues after a cell phone case supplier retrenched over 3,000 workers. On March 11, thousands of high school students from Hubei’s Tianmen City took to the streets in protest. Some of the students were injured after getting into scuffles with the police. On March 23 and March 24, thousands of employees from Tianjin Iron Works in Hebei’s Shexian County staged demonstrations. Thousands of police were mobilized to suppress the protests. The CCP launches a countrywide campaign to combat “indiscriminate banqueting.” According to overseas Chinese language media reports, there have been incidents where local governments beat up and robbed civilian banqueters. At the start of March, Guangdong Guangya Middle School was exposed for buying 3,500 GPS smart bracelets for its students. 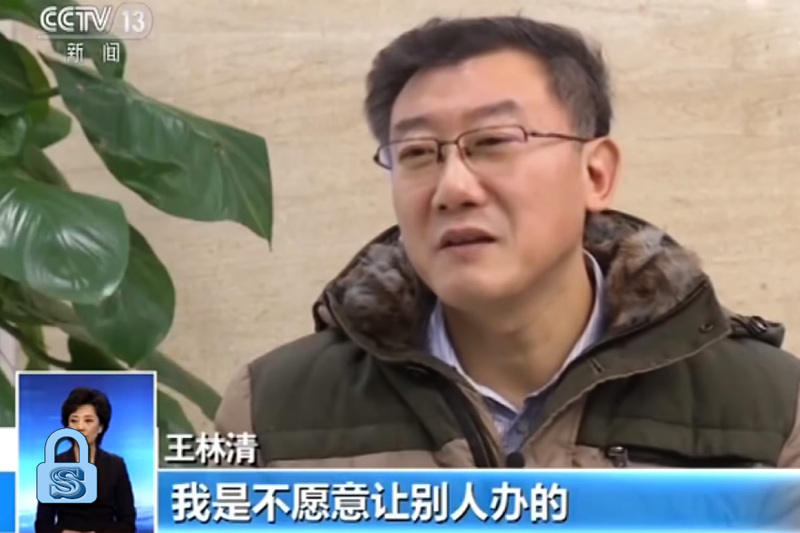 On March 20, Chongqing Normal University released an official document which noted that Tang Yun, an associate professor at the college, was stripped of his rank and teaching credentials after students reported on him for comments he made in class. 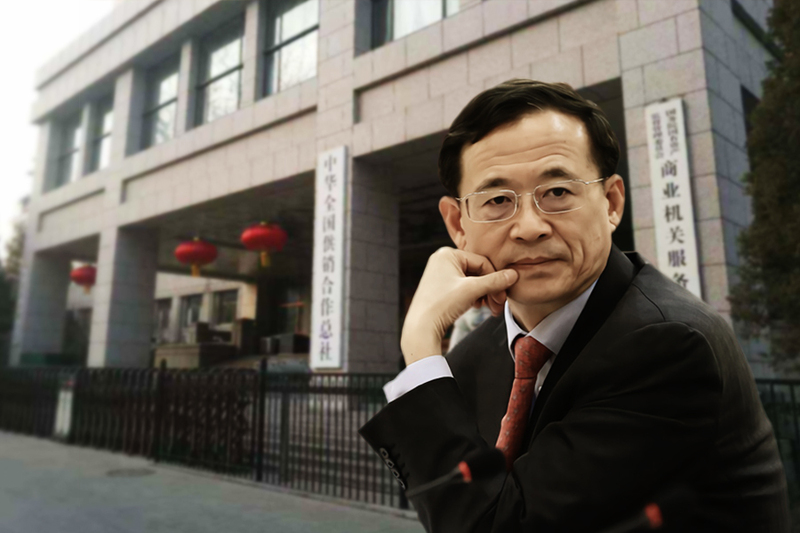 On March 26, Xu Zhangrun, a Tsinghua University professor, was placed under suspension. 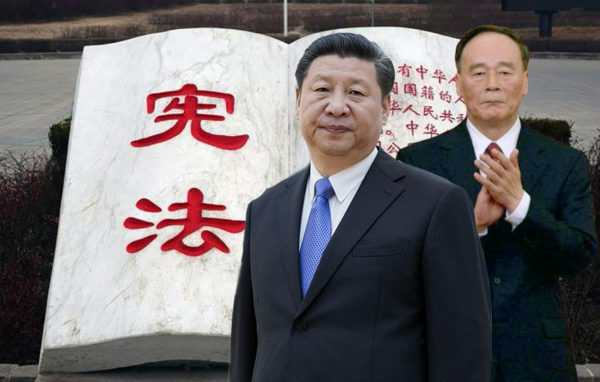 Last year, Xu published several articles that criticized Xi Jinping’s policies. Near the end of March, several universities in China issued urgent instructions for students to register their social media accounts. On Jan. 8, a 49-year-old janitor at Beijing Xicheng Elementary School attacked students with a hammer to vent his frustrations with society. Twenty students were injured and three were severely wounded. On Jan. 14, a man in Fujian’s Fuzhou City went on a knife rampage, killing one and injuring 19. On the same day, a man in Guangdong’s Humen Town killed one and injured eight in a knife attack. On Jan. 24, a slashing incident in Anhui’s Suzhou City left one child dead and another three injured. On Jan. 25, a cancer-stricken man set off a series of explosions in Changchun’s Wanda Plaza to “take revenge on society.” The explosions killed one person and injured another. On Feb. 5, a knife-wielding man killed eight and wounded seven in Gansu’s Huining County. On Feb. 21, a local of Jiangxi’s Ji’an City wounded 11 people in a slashing incident. Ten of the 11 wounded were school students. On March 14, a student from Hebei’s Tangshan City slashed a primary school student who was on the way to school. Other students were also injured in the knife attack. On March 22, a man went on a driving rampage in Hubei’s Zaoyang City, knocking down pedestrians and killing at least seven people. On March 28, a suicide bombing incident at a police station in Liaoning’s Heping District killed one and injured three. 4. Aside from the African swine flu, other forms of contagious diseases could break out on the mainland. The authorities, however, will only divulge more information about a disease outbreak when the situation becomes too problematic to cover up. 2. The CCP could offer attractive terms to the ROC government to sign a new consensus or peace treaty. On Jan. 22 and Jan. 24, the PLA Air Force dispatched several jet fighters to circle around Taiwan. On March 31, two PLAAF fighter jets crossed the median line, or the border within the waters of the Taiwan Strait. The incident triggered a 10-minute standoff between fighters from both sides. From Feb. 14 to Feb. 15, China and the U.S. held the sixth round of high-level trade negotiations in Beijing. From Feb. 21 to Feb. 22, China and America held the seventh round of high-level trade talks in Washington. According to news reports at the time, both sides were discussing a meeting between President Trump and Xi Jinping in Florida in late March. 2. China and the U.S. could reach a framework agreement which Washington finds acceptable by the end of the 90-day trade negotiation period in March. 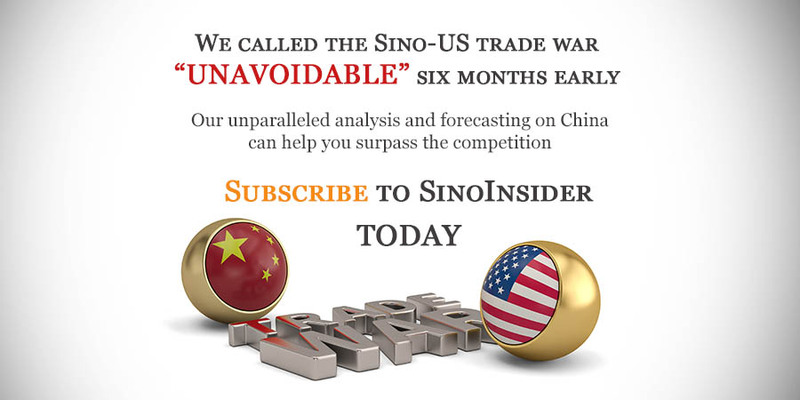 Further Sino-U.S. trade talks will be held. 3. The U.S. may raise tariff rates on $200 billion worth of Chinese goods from 10 percent to 25 percent before June. President Donald Trump may order 25 percent tariffs on an additional $267 billion worth of Chinese goods in the second half of 2019. On Feb. 5, the U.S. warned its European allies not to use Chinese 5G equipment. On Feb. 11, the U.S. warned Germany not to use “untrusted vendors” like Huawei and other Chinese equipment makers in building 5G networks. On March 22, U.S. Secretary of State Mike Pompeo warns Israel that it risks losing intelligence cooperation with America if it does not restrict its ties with China. 5. The U.S. could reassess Hong Kong’s status as a free port, and even consider reclassifying Hong Kong as part of the same customs territory as mainland China. On Jan. 31, the FBI arrested a Chinese engineer who worked for Apple just before he was scheduled to fly to China. The engineer was charged with stealing secret material on Apple’s self-driving cars. On Feb. 18, The New York Times reported that Iranian and Chinese hackers have been aggressively attacking U.S. businesses and government agencies, citing analysts at the National Security Agency and the private security firm FireEye. The Times noted that Boeing, General Electric Aviation and T-Mobile were among the recent targets of China’s industrial espionage attempts. On March 12, The Wall Street Journal reported that the U.S. Navy and its industry partners are “under cyber siege” by Chinese hackers and others, citing an internal U.S. Navy review. The hackers have stolen national security secrets in recent years and are exploiting a weakness that threatens America’s standing as the top military power, the Journal reported. On Feb. 5, Reuters reported that the U.S. sees the EU as a top priority in its global effort to persuade allies not to use Huawei 5G equipment, citing a U.S. State Department official. On Feb. 11, The Wall Street Journal reported that U.S. Ambassador to Germany Richard A. Grenell wrote in a letter to Germany’s economics minister that America would limit intelligence sharing with Germany if the country allowed Huawei to build its 5G networks. On Feb. 27, a bipartisan Senate subcommittee investigation revealed that China has been targeting U.S. schools, from kindergarten to college, for influence operations. “Through Confucius Institutes, the Chinese government is attempting to change the impression in the United States and around the world that China is an economic and security threat,” said the investigation report. 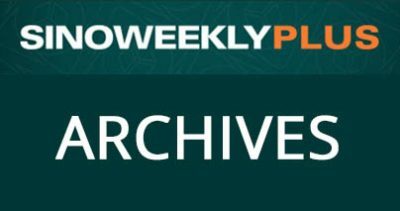 On March 15, Ron Rockwell Hansen, a Defense Intelligence Agency officer, pleaded guilty to his attempted transmission of national defense information to the People’s Republic of China. On April 4, Secretary of State Mike Pompeo called on NATO to adapt to China’s strategic competition. He also warned NATO allies that neither NATO nor the U.S. would be able to fully share information with allies if there were Chinese systems in their security networks. On March 8, Sam Brownback, the U.S. envoy for religious freedom, said at a press conference in Hong Kong that the CCP is “at war with faith” in China. Brownback criticized the CCP’s persecution of the Uyghurs in Xinjiang, Tibetan Buddhists, underground Christians, Falun Gong, and forced organ harvesting. 9. The U.S. could increase its military presence in the Indo-Pacific region. The U.S. military could hold more joint military exercises with countries in the Indo-Pacific, but may cut back on exercises with China. 11. As a result of the CCP factional struggle, the PLA might engineer near-collision (fighter jet or warship) or “misfiring” incidents to escalate Sino-U.S. tensions. 12. A Black Swan event could tip the Sino-U.S. confrontation in America’s favor, and produce one of two opposite outcomes in China. From Jan. 11 to Jan. 16, the U.S. Navy destroyer USS McCampbell and the Royal Navy frigate Argyll conducted operations together in the South China Sea. On Jan. 26, the U.S. Air Force flew two B-52 bombers over the disputed Senkaku Islands in the East China Sea and the Sea of Japan. On March 14, the U.S. Navy, Royal Navy and Japanese Maritime Self-Defense Force held anti-submarine warfare drills in the western Pacific, the second-ever trilateral exercise of its kind. 3. The countries in the Indo-Pacific region could edge closer to the U.S. against China and more strongly resist CCP influence operations and other subversive activities. 4. U.S.-Russian relations may improve, and China will not benefit from the improvement. 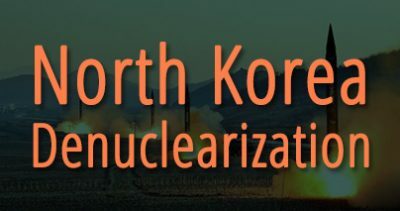 From Feb. 27 to Feb. 28, President Trump and North Korean leader Kim Jong Un met in Hanoi for a second summit.